People have been using henna for thousands of years, most popularly for cosmetic purposes. While it has been used to dye fabrics such as silk, wool and leather, it has historically been used for dying the hair, skin, and nails. Although its use for dying of the hair has taken a backseat to modern hair color products, its is still used in many areas globally. With environmental consciousness becoming more and more important in how we choose the products we use and consume, people have a greater interest in using things with small carbon footprints and more natural ingredients. So if you’ve been thinking of trying a plant based hair color, here’s a little background on its uses, history, and what kind of results you can expect. Henna has been being used for around 6,000 years, with the first recorded evidence in Egypt. Ahmose-Henuttamehu (17th dynasty, 1574 BC) was discovered to have hair stained red at her temples when her mummified remains were found, with henna being what was probably used. It has been used repeatedly throughout the centuries, from use during The Roman Empire to show class, to the aesthetic movement and pre-Raphaelite artists of the 1800’s. Women with bohemian inclinations of these times tended toward a fetish for red hair, contrary to British cultural tradition that considered red unattractive. Henna is a plant that is native to North Africa, West and Southern Asia, and North Australia, in semi-arid zones and tropical areas. It’s whole leaves won’t stain the skin until it is broken down with a mildly acidic solution and it’s lawsome molecules are released from the henna leaf. It is generally traded as a powder by drying, milling, and sifting. The dried powder is then mixed with lemon juice or a strong tea. Henna is still used today in India, the Middle East, Europe, Australia, Canada, and the US. 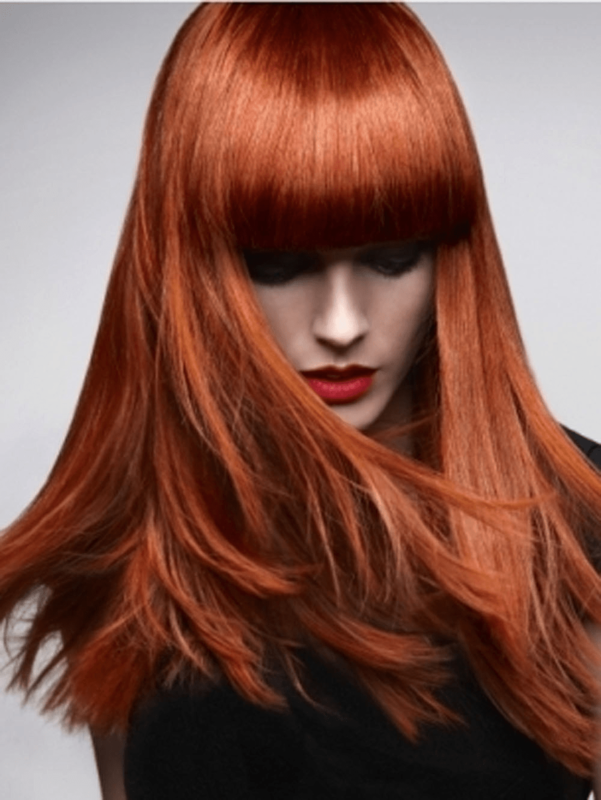 Henna’s color results will depend on the original color of the hair, quality of the henna, and processing time. If it is mixed with cassia obovata, it will be a lighter red/blonde, and if it is mixed with indigo, it will darken to a brown or black. Some pre-made henna hair products may also include metallic salts that can interfere with previous chemical treatments that are already in the hair, or oils and waxes. Coloring the hair with henna is pretty straight-forward. It is usually purchased in a small brick form and is melted in a bowl with hot water until it is a mud-like consistency. Get ready to make a mess, because it can be very drippy, and it will stain surfaces very easily. Be prepared to sit for a while because it also takes a VERY long time to set. Depending on the vibrancy, it can take up to 6 hours to process, and you have to sit with your hair wrapped in plastic. It is definitely not for those who are in a rush. It also does not event out your hair color, in most cases will just stain any previous highlights a reddish color, so don’t expect it to lift the color for evenness. Lastly, you cannot use any permanent hair colors after you have put henna on your hair. (Trust me, don’t try…not only won’t it work, your hair will start smoking, and its a scary sight!) Demi-permanent colors are OK, but that certainly limits your options if you decide henna isn’t for you. If you want to proceed, but still aren’t sure, you can always stop in to Kosmos Hair right here in sunny Jupiter, Florida and we would be happy to discuss your options with you. While it certainly isn’t for everyone, henna can be a good natural alternative to give the hair a red tint for some extra vibrancy, as long as you don’t plan on changing it any time soon. A Demi permanent hair color, such as Wella’s Color Touch, will probably be a better alternative for most, offering a nice, high shine tint with less commitment.